The flowery designed shower curtain might look very beautiful adorning your bathtub. But, the fabric used in creating it is very toxic and volatile. Curtains made from PVC (poly vinyl chloride) are very dangerous because the fabric includes many poisonous substances like chlorine. Chlorine creates a carcinogenic chemical called dioxin. This chemical penetrates the food chain and can be quite toxic for your health. The United States Environmental Protection Agency (EPA) has also warned about the toxicity and volatility of PVC or vinyl shower curtains. A PVC product is burdened with 108 volatile organic compounds and poisonous chemicals including phthalates, mercury and dioxins. While your beautiful PVC shower curtain hangs near your shower, the poisonous gases and compounds spread in the air and stay for many days. Vinyl shower curtains can have dangerous effects on the human body. The poisonous substances floating in the air can harm the body in various ways. According to The Center for Health, Environment and Justice, toxic substances contained in PVC shower curtains can pose a threat to the immune and reproductive systems and may even cause cancer. There are some very good environmentally friendly alternatives to vinyl shower curtains, but even these solutions have their own drawbacks. Linen and hemp are good but very costly and shower curtains made from organic cotton might be unable to wick away water as per your likings. Peva shower curtains, however, are a great and safe alternative to conventional vinyl shower curtains. PEVA Shower Curtains: A Safer Alternative to PVC Shower Curtains? While environmentally friendly shower curtains might be the best choice, PEVA curtain is the best option for consumers who are looking for a vinyl alternative. PEVA stands for polyethylene vinyl acetate. Don’t be scared! Just because the name vinyl is present, there is no need to panic. PEVA is non-chlorine, PVC-free, biodegradable material used mostly as a PVC alternative in toy products, baby bibs and shower curtains. Compared to other environmentally-friendly curtain choices, PEVA shower curtains are very affordable. They cost around $30-$45 and assure a non-toxic and chemical-free environment. These curtains are also very easy to clean and are absolutely not heavy. The best places to buy them are IKEA and Vitafutura. 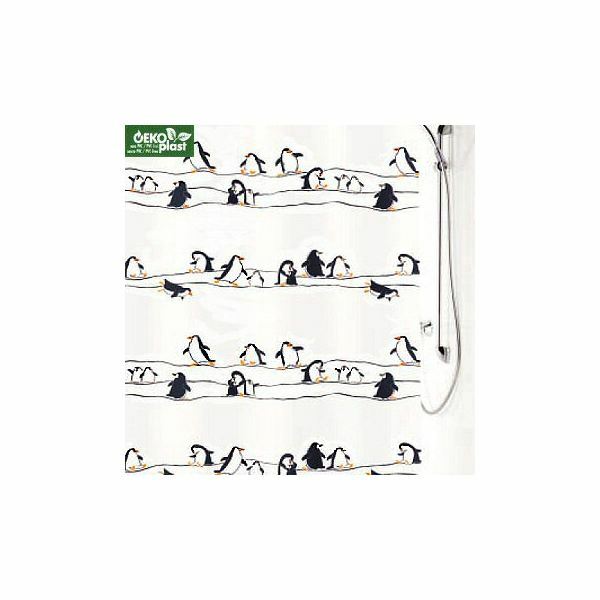 These product sites boast the best light-weight and waterproof PEVA shower curtains. There might be many benefits of PEVA, but just because it is chlorine-free doesn’t make it a perfect alternative. It is a petrochemical product and there are untested chemicals in it. However, it is the right step in an attempt to replace PVC and provide a green polymer alternative.